Central Texas College was established in the mid-1960s and quickly started offering correspondence courses, broadcast courses, and telecourses. The Distance Education and Educational Technology (DEET) department was established on Sept 18, 1997 by the CTC Board of Trustees Board Document 351. (Read a brief history of our department.) In this short time, CTC's online programs have accrued numerous awards and recognition in both the civilian and military communities. CTC online classes have monthly start dates and class lengths that range from 8 to 16 weeks, with shorter classes at some locations and during the summer and holidays. There are more than 60 certificates and associate degrees that can be completed entirely online. Tuition is the same as regular classroom courses, and students save money and time by not commuting or paying for childcare. CTC online classes are eligible for tuition assistance, and are transferable. 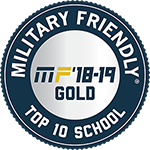 CTC is recognized as a military-friendly college and has accrued numerous awards and recognition from military publications. Many CTC online students complete their certificates or degrees while deployed. See http://www.ctcd.edu/students/military-students-veterans-and-spouses/ for more details. The Distance Education and Educational Technology (DEET) department is responsible for most activities related to the development and implementation of courses offered via the Blackboard Learning Management System (LMS) and through multimedia. Courses encompass all delivery systems: face-to-face, blended, online, and multimedia. Services include 24/7/365 technical support for CTC students, faculty, and staff, as well as assistance to test proctors and non-CTC personnel who contribute to the education of CTC students. Behind-the-scenes support involves extensive programming and server administration to ensure that courses, instructors, and students are properly loaded into Blackboard; online mathematics and English placement tests are available; and accrediting agency and Federal requirements, such as usability and ADA compliance, are addressed. Central Texas College is accredited by the Southern Association of Colleges and Schools Commission on Colleges to award associate degrees and certificates of completion. Contact the Commission on Colleges at 1866 Southern Lane, Decatur, Georgia, 30033-4097 or call 404-679-4500 for questions about the accreditation of Central Texas College. Contact the Commission on Colleges to determine the accreditation status of a college, file third-party comments during a college's decennial review, or file a complaint against a college of alleged non-compliance with a standard or a requirement. General inquiries about a college, such as admission requirements, financial aid, educational programs, etc., should be addressed directly to the college.